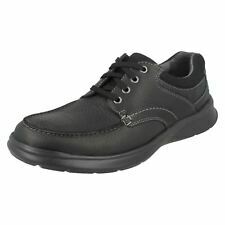 Clarks mens black leather shoes size 10. Brand new - never been worn. No box. Dispatched with Royal Mail 2nd Class. Clarks bonnington top ankle boots in black leather. They are light weight and very comfortable. Size UK8 or EU42. Sadly selling these shoes after wearing twice and not using them again. Very well looked after. Great price as were £85 brand new. Brown Beeswax Leather Upper. - Classic Signature Crepe sole. - Iconic Classic. - Leather Lining. - High Top Version. - Structural Silhouette. - Moccasin Construction. - Charles F. Stead Tannery. Ramada English. Lace Up Fastening. They have faded and discoloured on the right side of each shoe (outside of the right foot, inside of the left). Leather Upper. Leather and Textile Lining. The shoes may not be in their original box and may not have their original accessories. Clarks "Darble Walk", a classic Derby shoe. I will do all I can to resolve any problems. An accurate UK size 11 / EU 45 with an extra wide width fitting. The supple leathers bare no blemishes, and the soft flexible rubber heels & soles show signs of only light wear. Crafted from genuine leather, they feature stitched detailing and secure lace fastenings. Perfect for office wear and special occasions alike. Sole: Leather, man made materials. Upper: Leather. Lining: Leather, textile. Sole: Leather / man made materials. Upper: Leather. Lining: Leather / textile. Low cut desert boot construction. - Lace fastening. Who are we?. On-trend, Off-price. Stylish, a no brainer! We started with a range of 300 product lines, which soon grew to 4,000. test content 4. 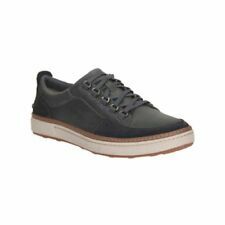 CLARKS KENLEY WALK LACE UP SHOES UK SIZE 8G. DEEP BURGUNDY LEATHER UPPERS. WE ARE LARGE ENOUGH TO COPE, BUT SMALL ENOUGH TO CARE. Clarks Novato Plain Men's Black Leather Shoes Uk Size 8G. RRP £85. 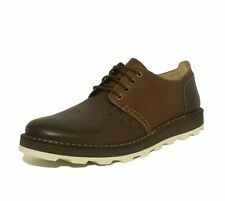 Clarks Originals Nature II Casual Shoes.